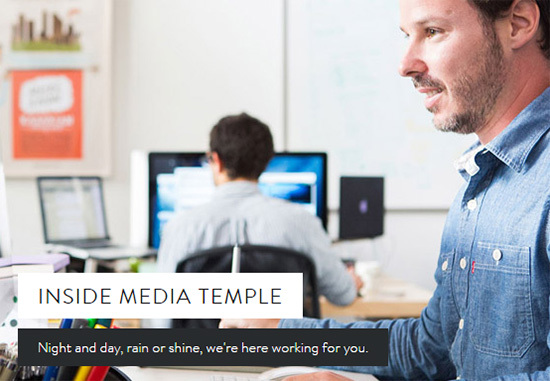 Media Temple is known for their managed cloud hosting services and expert support. They offer a wide range of hosting plans including shared hosting, managed WordPress hosting, VPS hosting, and AWH cloud hosting. Media Temple hosts many recognizable big name brands including Nordstrom, NBC, Home Depot, Uber, and more. See our expert Media Temple review to decide if it’s the right choice for you. Media Temple was founded in 1998 in Los Angeles by Demian Sellfors and John Carey. They began offering managed WordPress hosting in 2014. Today they power more than 1.5 million websites in 100 different countries, and have over 125,000 customers. Media Temple offers shared hosting, managed WordPress hosting, VPS hosting (managed or unmanaged), and AWS cloud hosting. Their shared hosting is designed for bloggers, businesses, and designers. It’s built on Media Temple’s Grid technology with clustered architecture across hundreds of server processors. With scalable bandwidth and burstable MySQL resources, Media Temple’s shared hosting is incredibly fast and reliable. The Pro and Agency plans have more resources and include extra features such as a global CDN for faster loading, plus security features including a firewall and malware scanning and removal. Media Temple’s WordPress hosting was designed for optimal speed and complete security. It’s ideal for WordPress developers and designers. It also comes in three tiers: Personal, Studio, and Agency. For those with high traffic needs, Media Temple also offers Enterprise WordPress Hosting on the Amazon Cloud. It includes multiple layers of redundancy, immediate scaling, world-class DDoS protection, and a dedicated account manager for all your support needs. In our Media Temple review, we found that they provide fast and reliable hosting for WordPress and other sites. You have no need to fear traffic spikes even on their shared hosting plan. Media Temple aims to provide extraordinarily good customer service. Support is available 24/7 via live chat, Twitter, phone, or support ticket. The support team is US-based. Managed WordPress hosting customers get access to certified WordPress expert support. Many customer reviews of Media Temple praise their excellent customer service. They also offer CloudTech Priority Care as a subscription addon to any hosting plan. CloudTech engineers can optimize your servers, install your web apps, secure your sites, and more. Media Temple also maintains a Community site where you can read hundreds of articles and tutorials. Media Temple’s Premium WordPress Hosting service includes a 99.9% uptime guarantee. If they don’t live up to the guarantee, you can contact them to receive a credit of 5% of your monthly hosting fee for that month. Media Temple also has a 99.999% service Uptime Guarantee on their VPS Hosting (DV and DV-Developer), Managed Hosting, and Dedicated Server plans. If your downtime is more than 20 minutes in a month, you can receive a credit for 20% of your monthly fee for each 20 minutes of downtime, up to 100%. Media Temple is a popular web hosting company, but it may not be right for everyone. Consider these pros and cons before choosing a plan. Reliable Hosting – Thanks to Media Temple’s innovative Grid hosting platform, your website will load quickly and can handle traffic spikes without downtime. Room to Grow – Media Temple has a wide range of hosting plans for any size website. When you grow beyond shared hosting, you can easily upgrade to a better plan. Expert Support – Media Temple is well known for the fast, friendly, and skilled expert support. 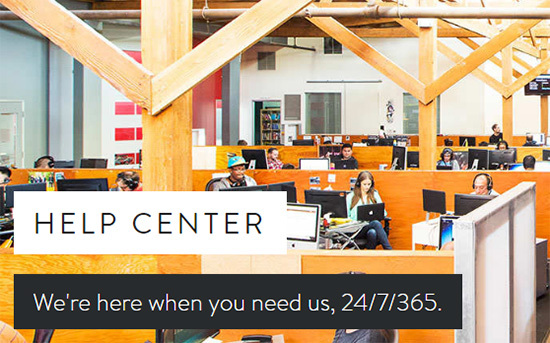 WordPress specialists are available, and support is there 24/7 via live chat, phone, or email. Higher Prices – Media Temple is more expensive than your run-of-the-mill shared hosting, but you get what you pay for in quality of service and support. Disallowed Plugins – Media Temple’s WordPress hosting plans disallow plugins such as backup or caching plugins. This is because they either duplicate Media Temple’s built-in services, or cause necessary server load. You can find a list of disallowed plugins here. Is Media Temple Right for You? Now that you have read through our entire Media Temple review, you might be wondering whether Media Temple is the right web host for you. Media Temple’s Managed Amazon Cloud hosting and WordPress Cloud hosting are incredibly fast and reliable. Their one-of-a-kind architecture features no single point of failure and multiple layers of redundancy, and is instantly scalable. Both plans are fully managed by Media Temple’s elite team of experienced admins to keep your sites safe and secure, without having to worry about technical details. Ready to get started with Media Temple? Click here to select your Media Temple plan today. WPBeginner users get two months free on annual plans with our Media Temple coupon code. All you have to do is click on this link to purchase, and be sure to select annual billing. The discount will be auto-applied. But you get what you pay for: great service and great products. I have been using MT for years now on clients big and small. They have the best customer service out there, offer a really simple setup process including Google Apps integration and most importantly everything is super fast. It is refreshing to know that a simple chat, even at 2am, gets your problem solved. They always go above and beyond to help out. This is especially nice if you are new to the world of servers and hosting. If you are a WordPress developer, I highly recommend the WordPress Hosting solution as they manage core updates automatically and take into account database speed.